Setting a wireless distribution system can be a little bit tricky, so here am going to simplify it and make it a do it yourself concept. Assuming you have a wireless signal in the first floor only, coming down and going up just for internet signal might not actually be the best practice, hence there is need to extend strong signal even to the third floor of the building to ease and satisfy the need for internet signal. Step 1 makes sure that the two access point supports wireless distribution system. Step 2 we are going to configure the first access point LAN using 192.168.0.1 as a start IP address. 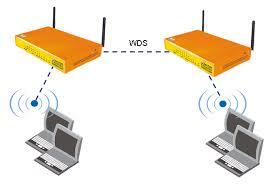 Step 5 we are going to disable WDS on the first wireless access points. The configuration for the first wireless access point is done. Let move over to the second access point. Step 1 on the second access point, we are going to configure the LAN using 192.168.101 as a start IP address. Please note the difference. So that next time when you’re logging into the router after you might have being logged out, you’re going to use this address. 192.168.0.101. The end address on the first router is use to start IP on the second router. Step 2 we are going disable DHCP for this second wireless access point. Step 3 we are going to enable WDS. Go to Wireless -> Wireless Settings. Check Enable WDS (Enable WDS bridging). Then the page will show as below. step 4 type the SSID of the first wireless access point or click on survey or search depending on the router option. Step 5 you will see the SSID of the first wireless access point click on connect. The root AP’s SSID and BSSID (MAC Address) will be filled in automatically. Then please input the wireless security settings and wireless channel to match the ones on the first wireless access point. Click on Save. Step 6 go to system tool click on reboot to reboot the access point. you should have internet now. And this answers the entire question. But in the case you want to use cable/ LAN because the signal is too weak and the second wireless access point cannot pick from the first one. All you need to do is to do the entire above configuration but you have to disable the WDS on both wireless access point. ← Google launches three new photography apps.